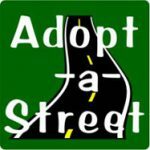 ADOPT-A-STREET 2018 We need volunteers on May 5th, 2018 at 8:30 AM! Please CLICK THIS or the above Poster to volunteer for 1 hour to 1.5 hours. Contact Person: Sonny Abad (850) 443-2694, or email Sonny Abad.